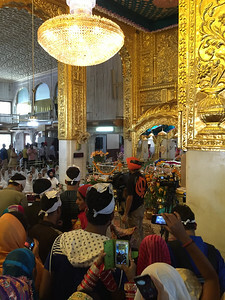 Inside Gurudwara Bangla Sahib, throngs of people trying to get a glimpse of the proceedings. 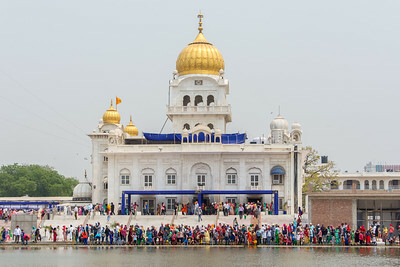 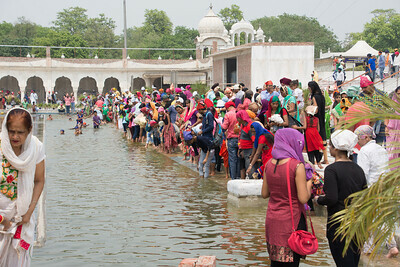 In the pool at Gurudwara Bangla Sahib, devotees go into the water, some for spiritual reason, some because of the 100°F heat. 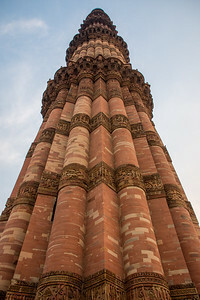 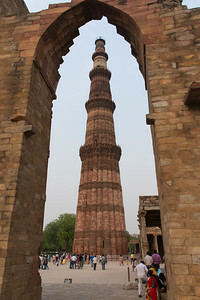 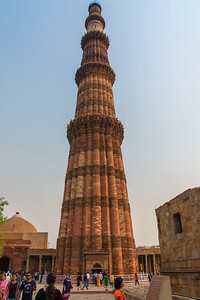 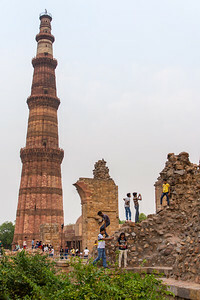 Qutub Minar is the tallest brick minaret in the world. 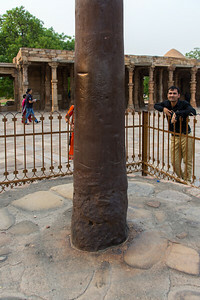 The Mehrauli Pillar is a metallurgical oddity. 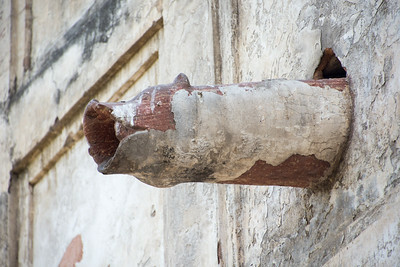 It doesn't rust or decay. 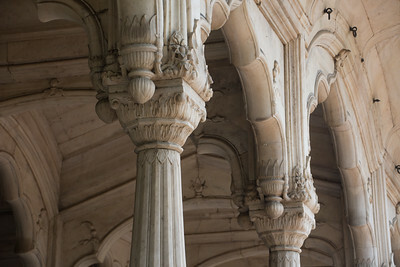 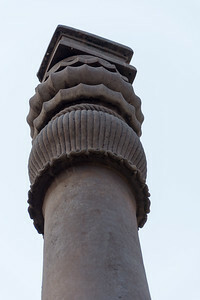 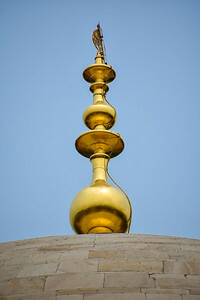 The top of the Mehrauli Pillar has Brahmin inscriptions. 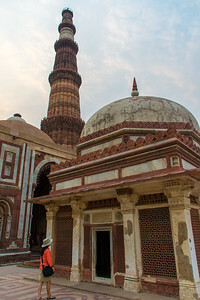 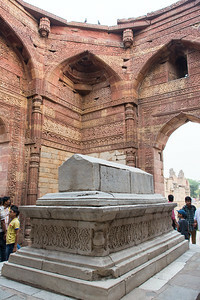 One of several tombs inside Qutub Minar. 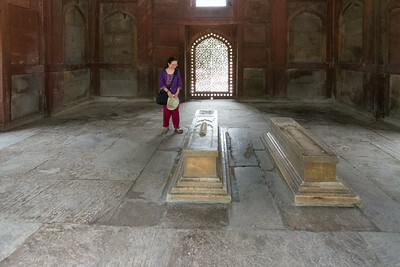 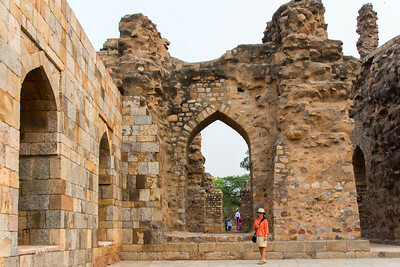 Tomb of Imam Zamin, inside the Qutub Minar Complex. 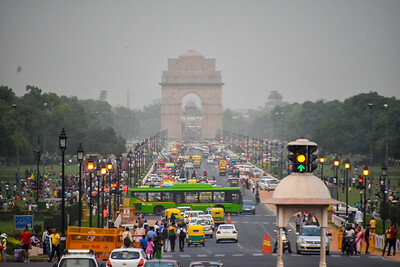 Looking down Rajpath toward the India Gate. 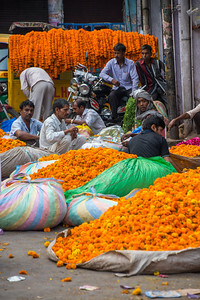 Flower and spice market in Old Delhi. 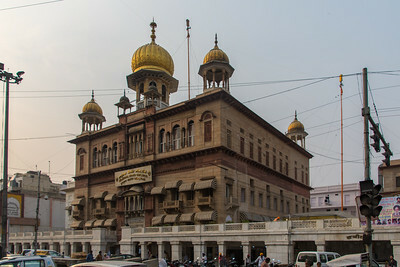 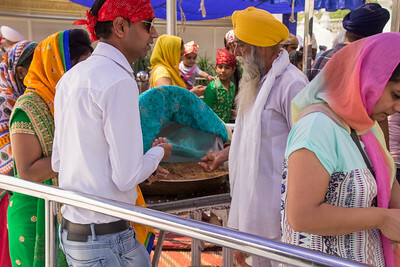 Gurdwara Sis Ganj Sahib in Old Delhi. 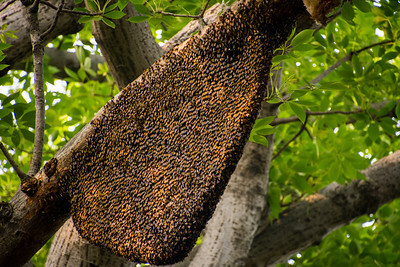 Bee hive. 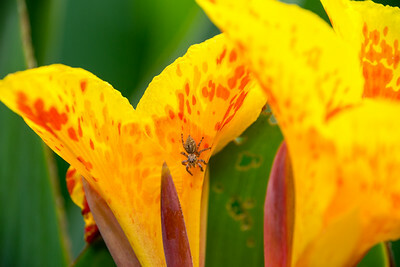 Those are bees on the outside. 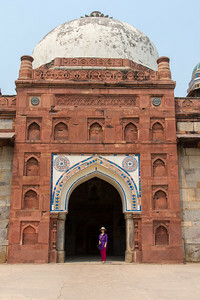 Outside the gate to Humayun's Tomb. 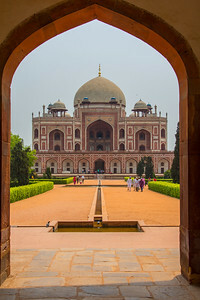 Humayun's Tomb give another example of the optical illusion that the building appears to expand as you go through the doorway. 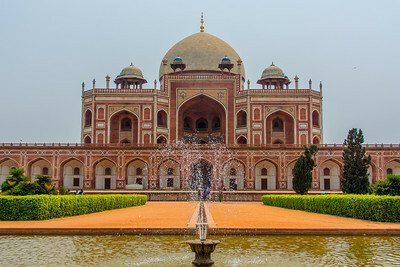 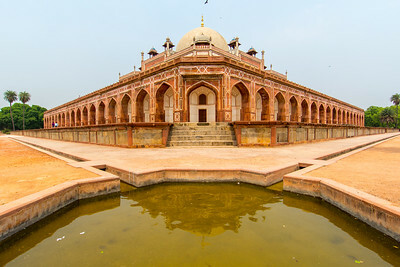 Humayun's Tomb was the predecessor of the Taj Mahal. 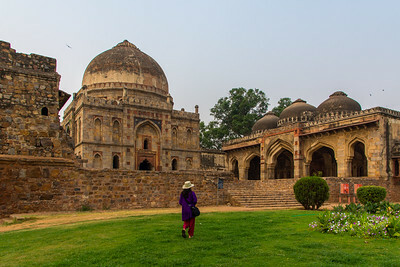 Humayun's Tomb from one of its corners. 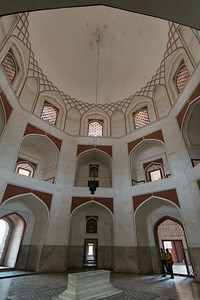 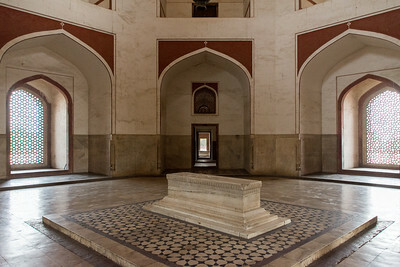 Cenotaph of Barber's Tomb in the Humayun's Tomb complex. 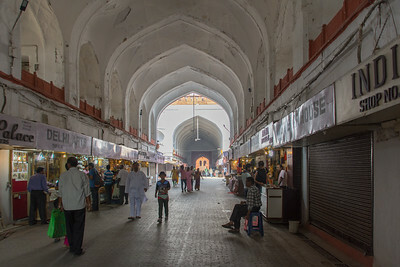 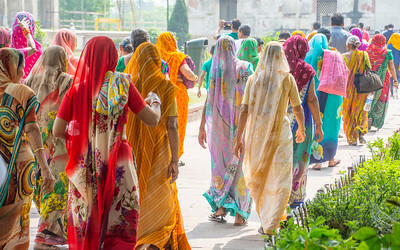 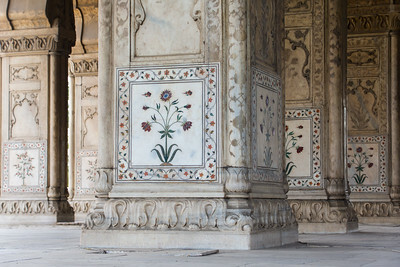 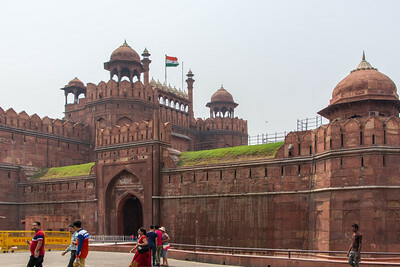 The entrance to the Red Fort in Delhi. 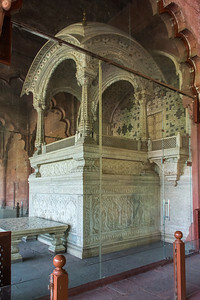 Now enclosed because people couldn't keep their dirty hands off it, the throne is where the emperor would hold his public audience. 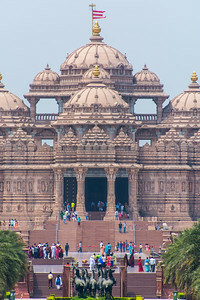 The only photos I have of the Swaminarayan Akshardham are from the outside. 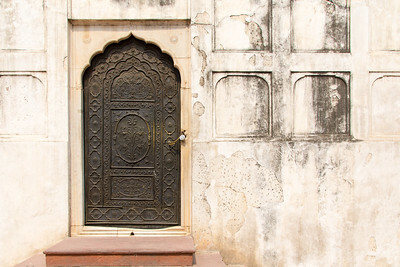 No cameras allowed inside. 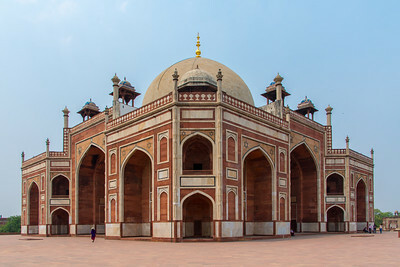 Beautiful inside, but highly overrated. 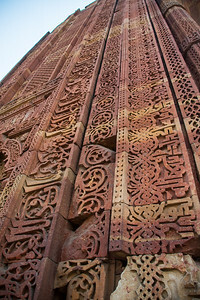 This is a new structure, built with modern tools and methods, so for me, it wasn't nearly as impressive. 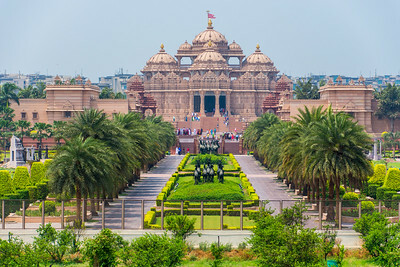 The Swaminarayan Akshardham from the outside. 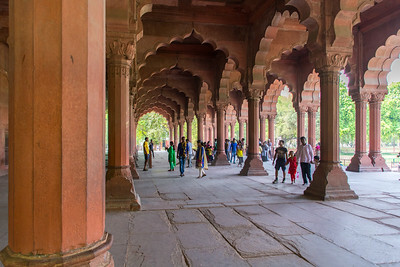 No cameras allowed inside. 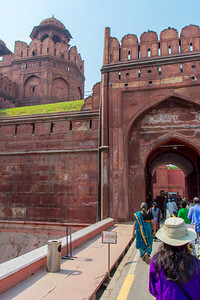 This strict policy resulted in a strip search because my money belt set off the extremely sensitive metal detectors.